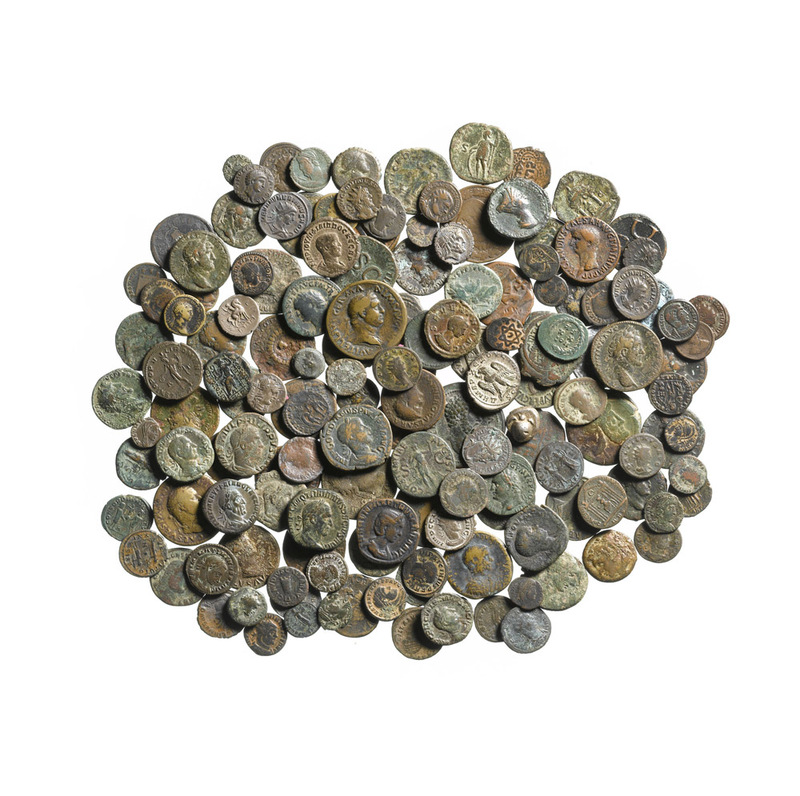 A vast collection of ancient coins discovered tucked away in a drawer at the National Trust’s Scotney Castle, Kent, has been studied by our numismatist, Julian Bowsher. The unique set comprises 186 coins from across the globe, spanning twenty-five centuries of history. Scotney Castle was the home for 200 hundred years of the Hussey family, before it was left to the care of the National Trust who opened the mansion house to visitors in 2007. The coins were found by National Trust volunteers while searching for photographs in a study drawer. 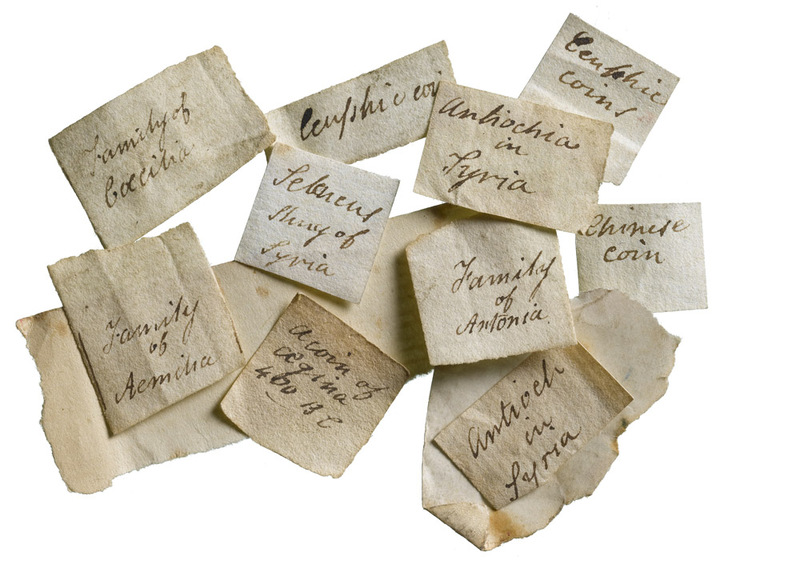 Research into family diaries in the archive suggests the coins were collected during the nineteenth century by avid collector Edward Hussey III and his son Edwy. 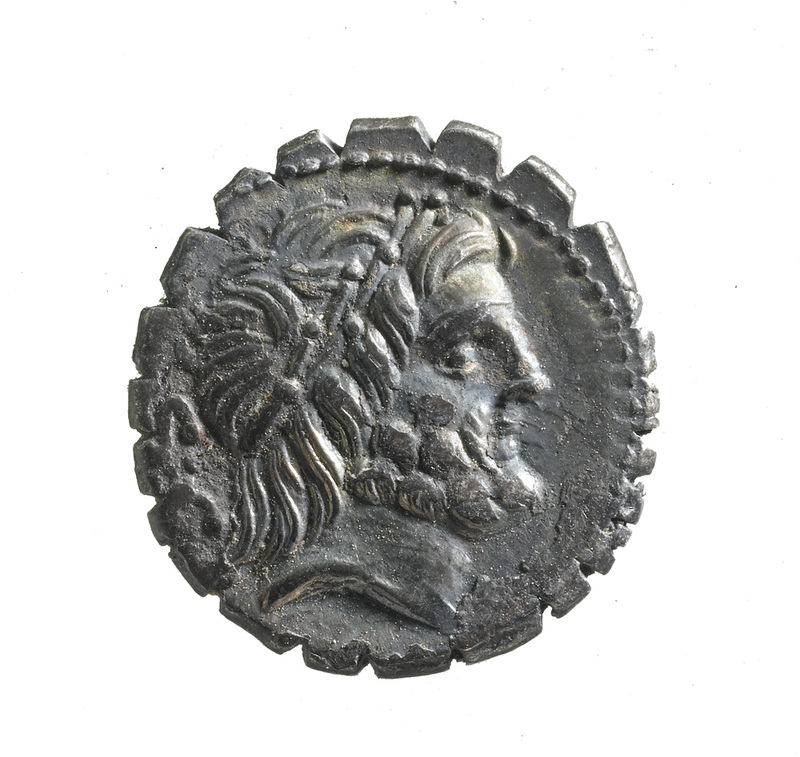 The coin collection reaches as far back as Archaic Greece, with a seventh century BC piece. This silver token is one of the earliest struck in Europe, and comes from the tiny island of Aegina. It features a clear depiction of a sea turtle – a creature sacred to Aphrodite. The bulk of the collection is made up of Roman coins, ranging from the late second century BC to the late fourth century AD. It is possible that the Husseys, like many collectors, were trying to collect a ‘complete set’ of Roman rulers. Despite the difficulty of this – Roman succession was complex and many coins of the shorter reigns very rare – they were close to achieving it. A particular highlight for Julian was seeing Roman coins that rarely appear in Britain, from the reigns of the 3rd century emperors Balbinus, Pupienus and Aemilian, none of whom ruled for more than a year. The records give insight into the purchase value of the collection in the nineteenth century. In Edward’s diary from 1823 the ‘Accounts’ section lists him purchasing ‘Coins’ priced from 4 shillings to 7 shillings and 6 pence. Suggesting greater ambitions still for the collection, Edward’s memoranda books include a list of coins he wanted relating to English monarchs, alongside those outstanding from the Roman era. The coins will go on display as part of a new exhibition, Inside the Collection, celebrating ten years since the Trust opened the Scotney Castle mansion to visitors. Visit www.nationaltrust.org.uk/scotney-castle to find out more.